When we use each of the above binary operations, the result may be different. It is because of the work done by the binary operation that we have between the two numbers. Knowing the work done by the binary operation is called the fact of that operation. 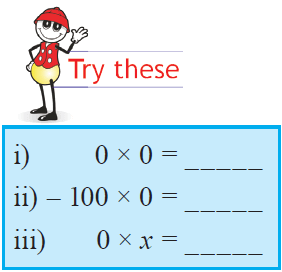 Here, we are going to know the work done by the binary operation "Multiplication". 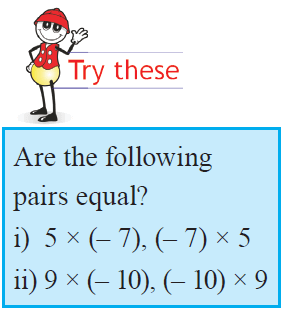 Let us consider the following example to understand the important fact of multiplication. A teacher wants to gift $20 cash prize to one of the students for his performance in the class. In case, if the teacher wants to gift the same cash prize $20 to six students, how much does he have to spend ? 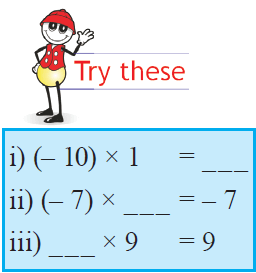 To get answer for the above question, we will be writing 20 six times and add them all. Adding 20 six times can be written as (6x20). Here, the fact what we have to understand is, the result of adding 20 six times is equal to multiplying 6 and 20. Therefore, to gift $20 cash prize to six students, the teacher has to spend $120. Therefore, multiplication is commutative for all real numbers. In general, for any two real numbers a and b, a × b = b × a. The product of any nonzero real number with zero is zero. In general, for any nonzero real number "a"
Consider the real numbers 2, – 5, 6. So we can say that real numbers are associative under multiplication. This shows that ‘1’ is the multiplicative identity for real numbers. For any real number, say "a", the multiplicative inverse is its reciprocal. Multiplication of a number and its multiplicative inverse is always 1. Consider the real numbers 12, 9, 7. In general, for any real numbers a, b, c.
a x (b + c) = (a x b) + (a x c). Therefore, multiplication is distributive over addition. a x (b - c) = (a x b) - (a x c). Therefore, multiplication is distributive over subtraction. After having gone through the stuff given above, we hope that the students would have understood "Multiplication facts". Apart from "Multiplication facts", if you need any other stuff in math, please use our google custom search here.